Featuring artwork by Drew Struzan, this un-dated advance poster is highly sought after by the legions of Star Wars collectors. Basically George Lucas had the title ‘Revenge Of The Jedi’ changed to ‘Return Of The Jedi’ after these one sheets had been released, and prior to the release of the film because Jedi warriors are not meant to be vengeful. Struzan provides the amazing artwork of the menacing Darth Vader engaging in the climactic battle with Luke Skywalker. 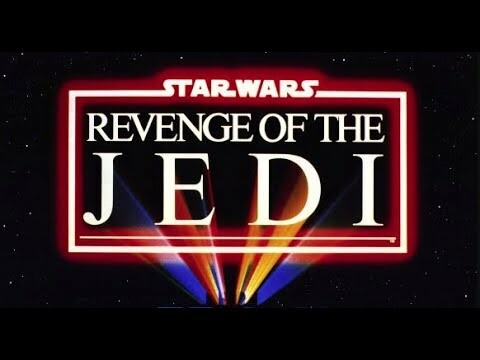 Basically there were two original versions of the Revenge of the Jedi Teaser Advance One Sheet printed in 1982. The first "NO DATE" version was printed only once and was issued exclusively to movie theaters. This version was issued early on before 20th Century Fox had a release date for the film, so the poster does not have "Coming May 25, 1983 to your galaxy." at the bottom. This version is much, much rarer than the second poster with the date. The Official Star Wars Checklist poster states that there were only a small handful of the "NO DATE" posters made, then Fox decided on a release date for the film, and a second version of the poster WITH THE DATE was printed. Shortly after the second poster was printed Lucas decided to change the title to "Return of the Jedi", and the poster was recalled/pulled from advertising use.